The police in Ekiti State have arrested a couple, Mr. Dada Ojo and his wife, Adejoke, for allegedly dumping their newborn baby inside a bush. Our correspondent learnt on Sunday that the woman and her husband were arrested on Friday. A source in the community said the cry of the baby in the bush attracted residents of the area, who alerted officials of Ikere Local Government Area. It was learnt that Adejoke, 26, gave birth to the baby at home last Wednesday without anybody’s assistance because she could neither afford hospital bills nor patronise the local birth attendants. She was said to have dumped the baby inside a bush in Ikere-Ekiti where the couple lives. The woman reportedly blamed her action on poverty, saying the family was having great difficulty raising the three children they already had before the arrival of the new baby. Ojo, a commercial driver, reportedly told the police that his wife did not inform him of her plan. He claimed that he returned home in the evening and observed that her wife had given birth and asked her about the baby but she simply told him that the baby was dead. 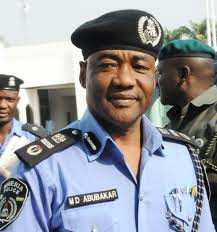 The Police Public Relations Officer in the state, Mr. Victor Babafemi, confirmed the arrest when he was contacted. He said that the couple was arrested but added that the wife had since been released to the Welfare Department of the state Ministry of Women Affairs where she and the baby were being given treatment. “The man is still with us but the mother and child are being taken care of by the welfare department. The authorities of Ikere Local Government Area and the ministry are involved. They will take over the welfare of the baby,” Babafemi said.